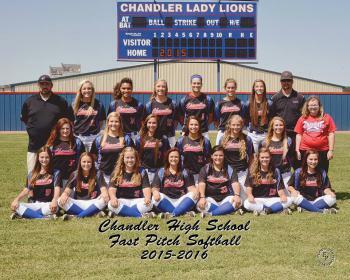 CHS Softball Team members and head coach Bryan Herring receive conference recognition. The Lady Lions softball team collected their third consectutive Conference Championship this year. Head Coach Bryan Herring was named Conference Coach of the Year and Neleigh Herring was named Conference MVP.